The ISARS brings together researchers from different disciplines who share a strong commitment to the study of shamanism and related cultural complexes and phenomena the world over. While we are aware of the elusiveness and ambiguity of the term “shaman”, with this definition we mean religious specialists and therapists, mostly (although not exclusively) linked to ancient oral cultures who played and/or play a pivotal social, religious and political role not only in their local groups, but also on a global level, as has been emphasized in the last decades. 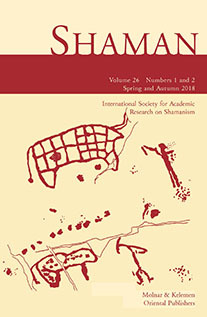 Among the primary goals of the society is to ensure the continuation of the international conference which – since 1991 – has taken place every two years in different parts of the world and has been organized by the former organization (ISSR), as well of the publication of the official journal of the society SHAMAN. The 12th International Conference of the International Society for Academic Research on Shamanism (former International Society for Shamanistic Research) took place in Delphi, Greece, in October 2015. The former organization (ISSR) was founded in 1988 in Zagreb in the occasion of the International Congress of Anthropological and Ethnological Sciences by Professor Emeritus Mihály Hoppál (Budapest, Hungary). The organization rapidly assumed a worldwide dimension counting about 300 members from fifteen different countries. Since 1991, when the first international conference of the organization was held in Seoul (Korea), eleven international conferences and a number of smaller-scale symposiums were organized in Europe, Asia and the USA. The journal SHAMAN, launched by Molnár & Kelemen Oriental Publishers (Budapest, Hungary) was approved as the official publication of the ISSR in 1993. Marion Wettstein (University of Bern, Switzerland).